At a Beauty Event preview recently, Lisa Lingis (regional La Prairie specialist) introduced me to La Prairie's new Cellular Power Serum ($475). 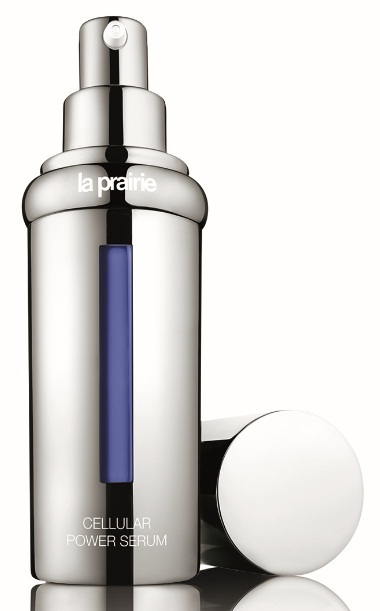 It's definitely pricey, but I've found in the past that La Prairie's Cellular Power line works well for me. Naturally, I had to buy this new serum to try it. Here's the buzz on serums. Advances in high-performance formulations, as well as research-backed ingredients, have taken this anti-aging game changer to another level. Did you know serums set the stage for more effective skin care by boosting the power of every other skin-care product used afterward? 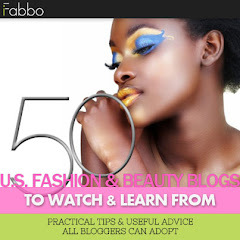 Because of their aqueous texture, these lightweight, deeply penetrating formulas can be used as a base layer in combination with any skin-care regimen. Doing so adds an extra dose of active ingredients proven to combat a specific skin-care concern, such as free radical fighting antioxidants, collagen boosters, pigment reducers, and mega-hydrators. penetrating the skin. Applying a moisturizer over a serum is a winning combination. I always do. Since most serums can be used by all skin types - from extremely oily to dry skin types - serum is an essential step in any skin-care ritual. Although La Prairie’s serums multitask, there is usually one outstanding concern that each particular serum is formulated to address. La Prairie has a robust array of serums (see below) that offer state-of-the-art skin-care solutions while satisfying the luxurious experience our hearts crave. Who doesn't love to be pampered? La Prairie's newest introduction to the elite Power team of products is Cellular Power Serum. This daily serum is a triple threat against aging, ensuring synergistic energy, protection, and defense in one extraordinary formula. Together with Cellular Power Infusion and Cellular Power Charge Night, Cellular Power Serum provides the power your skin needs when and where you need it. Science tells us there are three main determinants to the way the skin ages: loss of energy; accumulation of molecular, cellular, and tissue damage; and a decline in the skin’s ability to defend itself. Skin begins life with an intact natural antioxidant “self-defense” network. Within the network are bio-sensors that act as an alarm system, detecting incoming harm from free radicals to the skin. When the skin is young, the sensors function at an optimal level, but as we age, and skin is susceptible to oxidative stress from toxins and chemicals in the atmosphere. The sensor system no longer works to capacity. We have relied mostly on topical antioxidants to fight the fight against free radicals, and ultimately, against aging. Now, La Prairie's scientists have formulated a revolutionary Defense-Fortifying Complex of giant knotweed, blue microalgae, and heart leaf globe daisy that activates the fading power of the skin’s defense system and keeps the skin on high alert to incoming damage from free radicals. This potent plant-infused complex contains ingredients that stimulate the expression of the skin’s natural anti-oxidants, including Thioredoxins and glutathione, believed to be the most elaborate protection agents ever created. Essentially, the Defense-Fortifying Complex reboots the skin’s internal systems to trick the skin into working harder to defend itself against damage. The skin lives and thrives on energy, the skin’s power source. Loss of energy impairs cellular communication and decreases the repair of the essential bio-code (DNA) and skin structures. La Prairie scientists have incorporated key ingredients from Cellular Power Infusion (which I love because it makes a difference) into Cellular Power Serum to satisfy the skin’s need for energy on a daily basis. These ingredients, known as the Cellular Power Complex, include skin renewal peptides and phyto stem cell extract to help maintain the natural epidermal stem cell function; Swiss snow algae to increase the cells’ longevity and counteract UV stress; and "Tissue Guidance Matrix" to promote the renewal of skin tissue. Since some of these ingredients are proprietary, I can't tell you more about them. Cellular Power Serum is designed to be the skin’s virtual bodyguard against aging. Lynne Florio, Global Brand President of La Prairie, said, “Cellular Power Serum is truly a revolutionary approach - not to mention another La Prairie landmark launch - to defending the skin against aging. First, we had Cellular Power Infusion, to boost and energize skin four times a year. Next, we developed Cellular Power Charge Night, to recover and recharge skin while you sleep. Now with Cellular Power Serum as part of the trio, every potential aging sign in skin is slowed down." Having fallen in love with Cellular Power Complex, itself pricey, I was the perfect customer for Cellular Power Serum. I'll let you know after I've used it for a month what results I experience. Right now, I can tell you that it's lightweight on my skin and has a delightful "presence." Cellular Power Serum was developed to target defense and energy. La Prairie's other popular serums have different focuses. 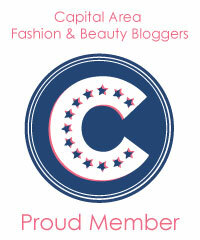 Skin Caviar Liquid Lift is for firming and lifting. White Caviar Illuminating Serum is for brightening. Cellular Radiance Concentrate Pure Gold is for luminosity and rejuvenation. I am dying to try it! Cellular Serum Platinum Rare, the most expensive of the family, is for "age delay." Perhaps that means it will help us look younger than we are because (with a birthday coming up soon) I'm thinking about how to stop the clock. The best for prevention is Anti-Aging Longevity Serum, and it's the least expensive in the family. Tempted? Obviously I was. I trust Lisa when it comes to skin care and makeup. She's a pro, and she's excited about this launch. 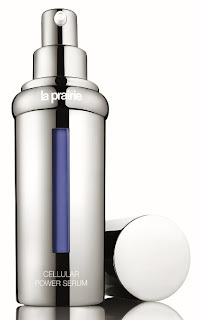 I am a fan of La Prairie and they are certainly pricey. It is a good brand. It is a good brand, and I'll be exploring it more this year. Thanks, Color Beam. Cute kitty!